Can you confirm these amateur observations of Trachylepis aureopunctata? Ramanamanjato, Jean Baptiste, Ronald A. Nussbaum and Christopher J. Raxworthy. 1999. 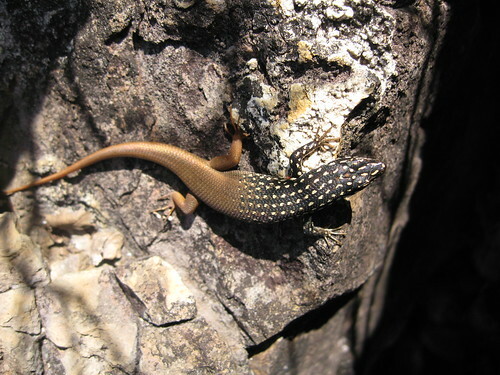 A new species of Mabuya Fitzinger(Reptilia: Squamata: Scincidae) from the Onilahy River of south-west Madagascar. The Herpetological Journal 9 (2): 65-72.